I like to use bronzers as we get in to the warmer weather and being quite fair bronzers often fill me with dread. I don’t like to look overly tanned or look like I’ve applied my bronzer with a heavy hand. 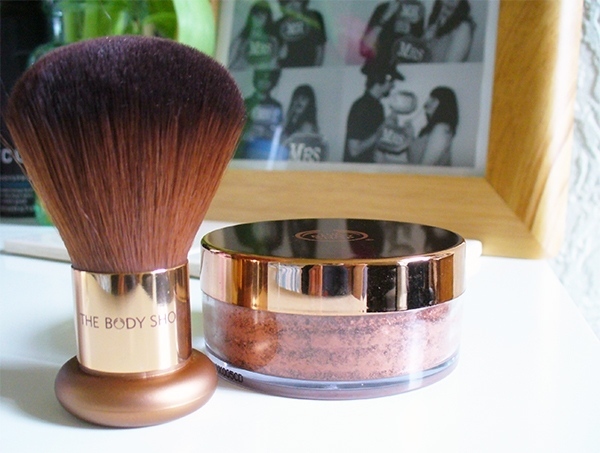 When this Brush on Bronze* arrived from The Body Shop I was a little afraid. In the pot it looks quite orange and I thought they were going to give my skin too much colour but once I applied it, it actually looked quite pretty. If you lightly sweep your brush over the bronzing beads and tap off the excess powder you can apply just the right amount of colour to your skin. I like to apply this over the top of my forehead, across the tops of my cheeks and down the bridge of my nose, all the places the sun would naturally bronze. I used the pretty Bronzing Brush & did experience a little shedding from this brush at first but I washed it after the initial application and that seemed to do the trick, no more shedding. The Bronzing Brush is very soft and didn’t pick up too much product, Its dense enough to sweep on just enough colour and I was able to blend it out so it looked natural and glowing. This wears well on me, I do get quite oily skin throughout the day & always spray my Urban Decay Setting Spray so that helps everything stay in place. After a long warm day this was still where it was meant to be looking bronzed & glowing so thats a thumbs up from me. The Brush on Bronze has a slight highlight quality to it too, as there is a subtle shimmer running through it (nothing too disco ball). Its nice during the day but this also looks so pretty as a night time bronzer, I just applied a little more product & I also took it across my chest area for a warm bronze glow. If you’re looking for a warm bronzer thats not muddy at all this gave my skin a glow without looking orange (no one needs that look). This bronzer is one of The Body Shop’s Best Sellers & I can see why, I know that these are going to be a staple in my Summer makeup bag. 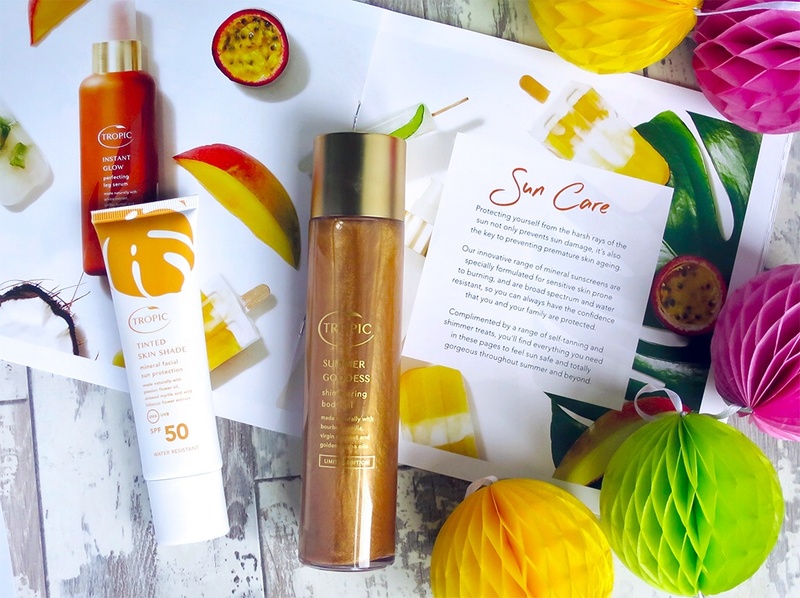 I don’t like to tan so bronzers are a great natural way for me to put a bit of colour on my skin! I do find these bronzing beads to be a little bit messy so keep that in mind if you have a cream carpet or are wearing light coloured clothing, make sure you have a tissue handy & tap off the excess product, also be careful not to knock the beads out as they are pigmented and will get bronzer every where. Although saying that if you look after these they will last you a really long time, a little product goes a long way. I really want to try a few more makeup brushes from The Body Shop I always forget they have such a great selection & quite affordable too. What is your go to summer bronzer?